When its time for a replacement projector lamp in your Epson projector, you’ll notice a change lamp message appearing on screen. 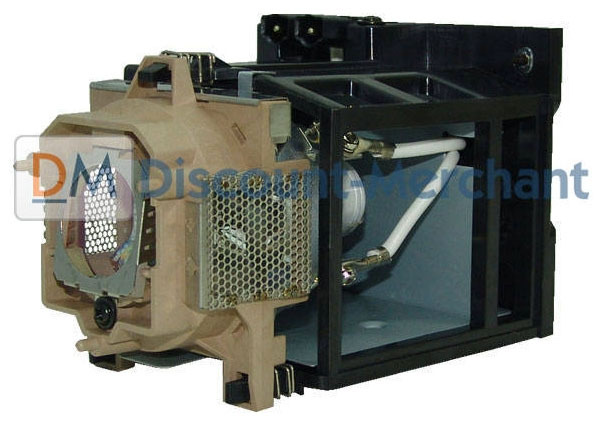 It’s critical to install a genuine BenQ 59.J8101.CG1 replacement projector lamp rather than a compatible generic lamps. Although lower in price initially, generic, knock-off lamps end up costing much more in the long run. Counterfeit generic lamp have a shorter lamp life, damage the components in your projector, have poor picture quality and are prone to explosion. 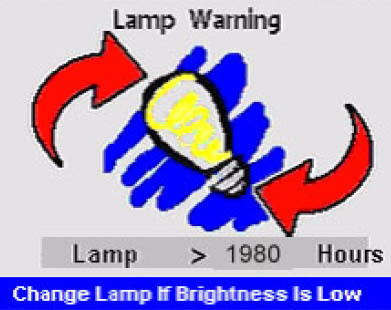 You also run the risk of being exposed to the carcinogenic substances such Krypton-85 used in the making of these lamps. Installing a generic lamp voids any warranty for your BenQ projectors. Go with an authentic BenQ 59.J8101.CG1 replacement projector lamp. Learn the 7 Ways to spot a counterfeit lamp. Your first warning to replace the BenQ 59.J8101.CG1 replacement projector lamp will show up when the lamp has been in operation for 1980 hours. 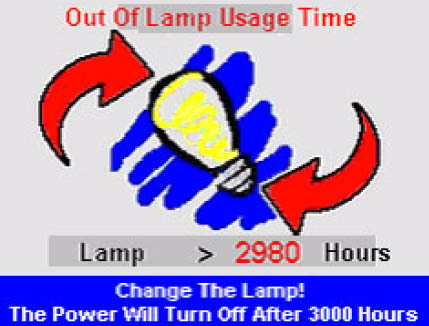 If the projector is being run in Economic Mode you may continue until the second warning at 2980 hours at which time a second warning will appear. 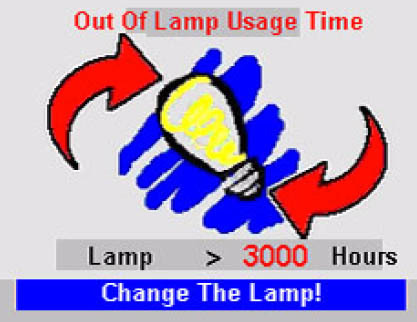 The final warning will flash in the center of the BenQ PB8260 screen at 3000 hours and the Lamp Indicator will light up red for 40 seconds before the BenQ PB8260 projector shuts down. The projector will not turn on until a replacement projector lamp BenQ 59.J8101.CG1 has been replaced. On the BenQ PB8253 and BenQ PB8263 you’ll also see a Lamp Safety Notice message that displays for 40 seconds before the projector shuts down. It will not turn back on until the the BenQ 59.J8101.CG1 replacement projector lamp has been installed. For step-by-step instructions on replacing your BenQ 59.J8101.CG1 projector lamp, click on your projector listed below. BenQ PB8250: Click here for step-by-step instructions on how to change the BenQ 59.J8101.CG1 projector lamp for the BenQ PB8250 projector. BenQ PB8253:Click here for step-by-step instructions on how to change the BenQ 59.J8101.CG1 projector lamp for the projector. BenQ PB8260: Click here for step-by-step instructions on how to change the BenQ 59.J8101.CG1 projector lamp for the BenQ PB8260 projector. BenQ PB8263: Click here for step-by-step instructions on how to change the BenQ 59.J8101.CG1 projector lamp for the BenQ PB8263 projector.